BOOM. For yet another year I have the pleasure of spinning on New Year’s and this year I’ll be at Pat’s Downtown (16th/Market) for their annual bash. The cover is minimal ($10) and not even close to what most clubs/bar charge that night. You’ll receive a free drink upon entry and a complimentary bottle of champagne if you call ahead. 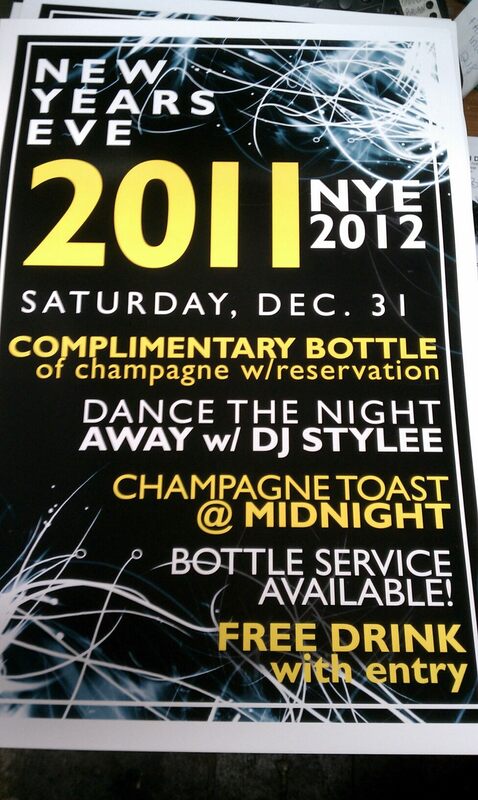 Bottle service will be available and there will be a champagne toast at midnight. Last but not least you’ll have me bumping the party tunes for you all night long and making sure the new year starts off right!